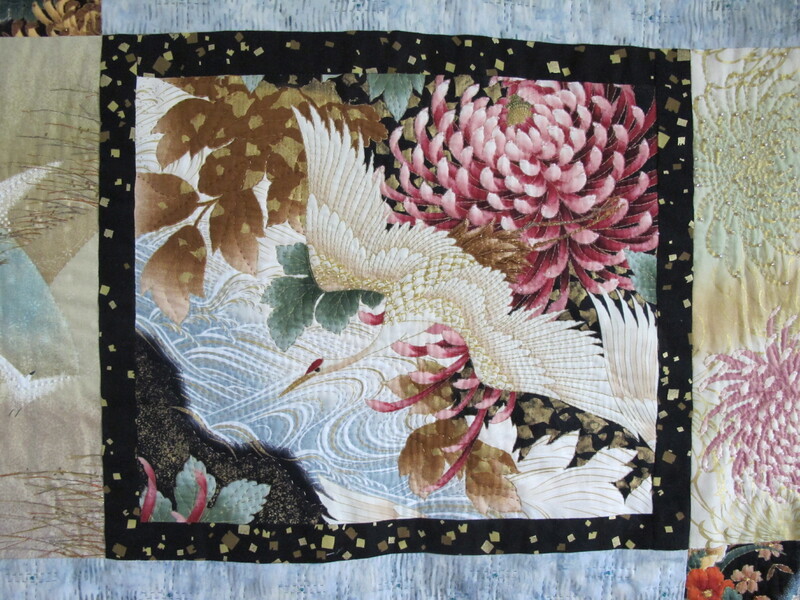 I have gathered a substantial quantity of beautiful Asian design fabrics over the past 10 years and decided to spend some time creating some graphic design wall hangings featuring some of these gorgeous prints. 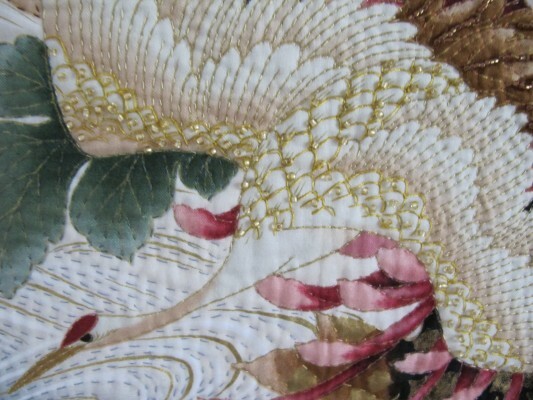 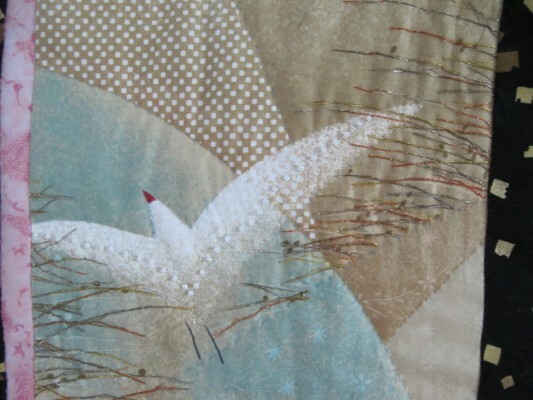 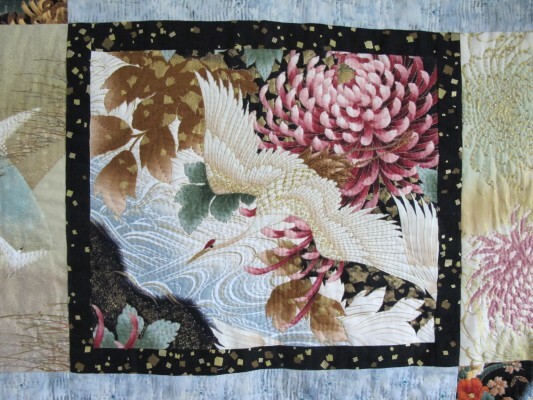 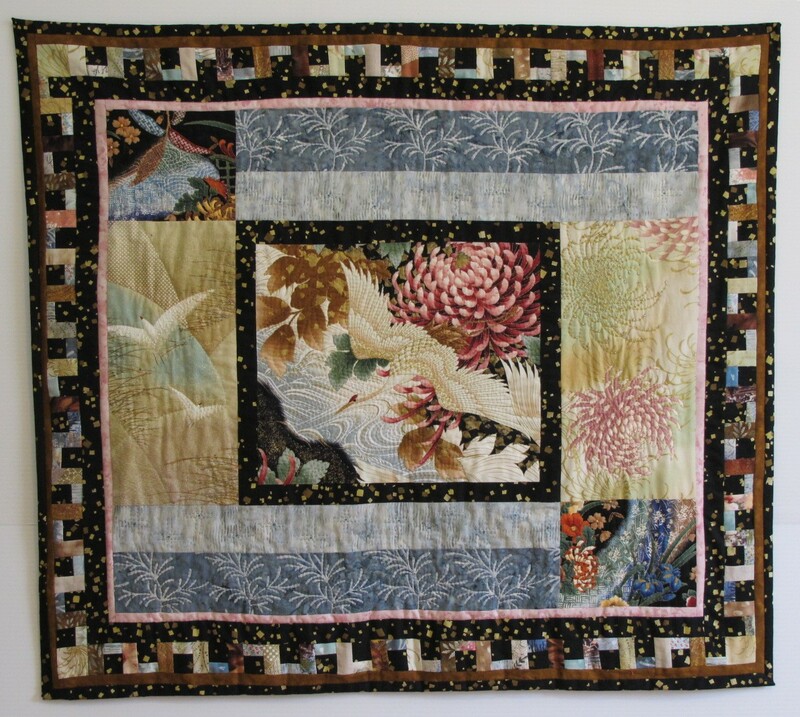 The flying crane became the center piece for this quilt with the addition of fabric selections to accent the water aspect depicted under the crane.I used metallic threads and bead work to help capture some reflective light both on the birds and the flowers. 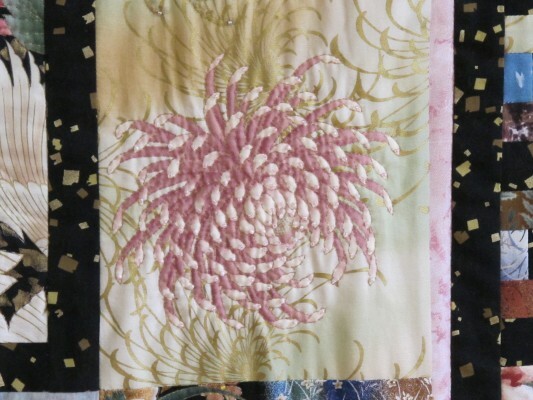 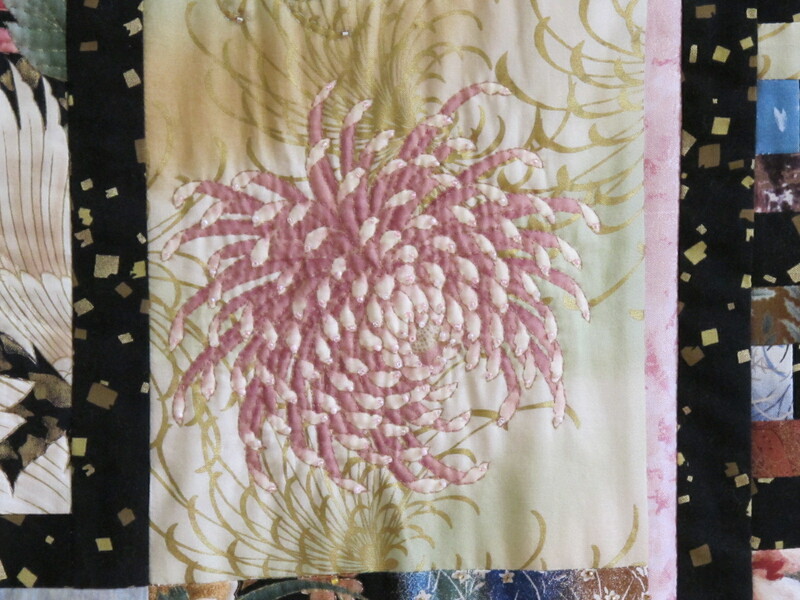 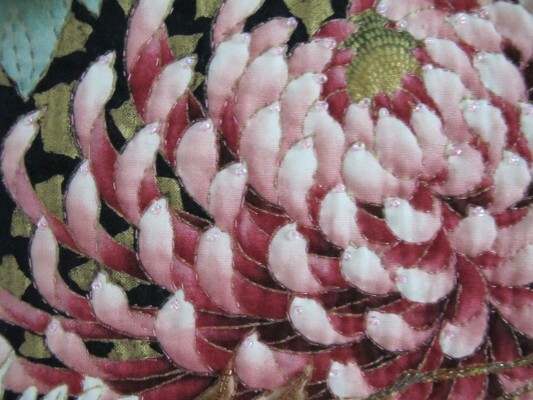 The piecework around the border (an unusual design element for me on borders) was created to help balance out the pinks and browns from the floral portions of the fabric. 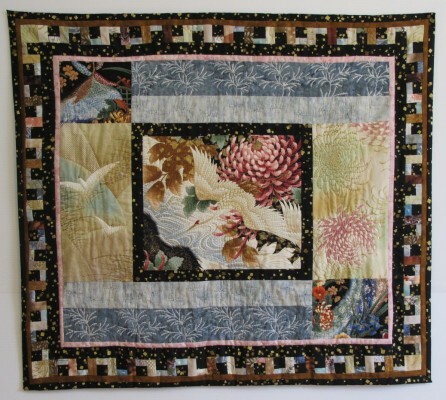 This quilt measures 36″w x 32’h and has a fabric sleeve for hanging.